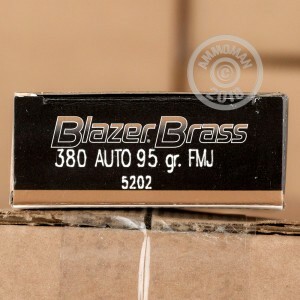 If you've always liked the low cost and reliability of CCI Blazer ammo but wanted to reload as well, you'll love Blazer Brass cartridges. 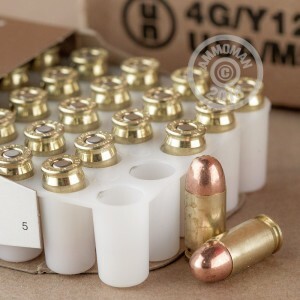 The difference is right in the name: these .380 ACP cartridges use reloadable brass cases instead of aluminum ones. 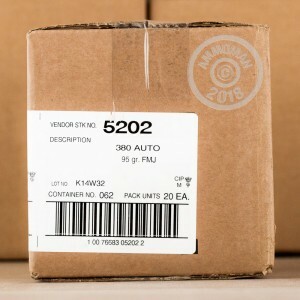 Each round in this box of 50 fires a 95 grain full metal jacket bullet at a muzzle velocity of 945 feet per second. These specs are typical for the .380 Auto and will work well for range training. CCI ammunition is made in Lewiston, Idaho using the company's own famously reliable non-corrosive primers.